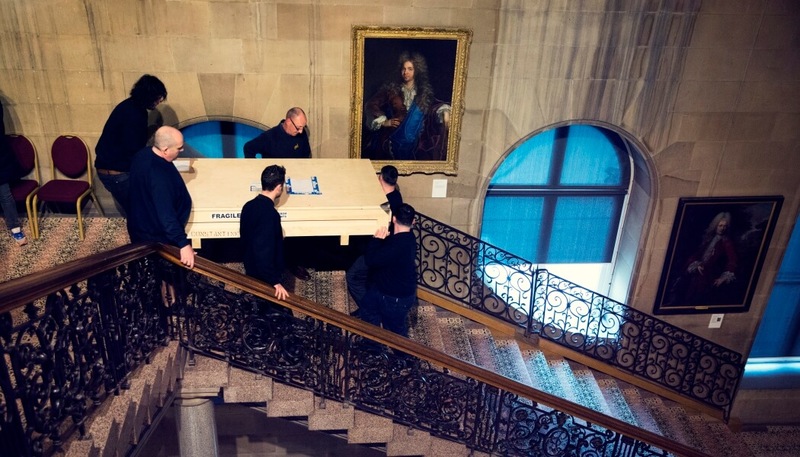 If the artworks or artefacts are fragile they will require additional preparation from the museum and our experienced technicians to ensure their safety for future generations. In some cases, bespoke equipment and forms of support must be created to complete the task. The structure of an object greatly determines the method of handling and transportation. Can the works be moved manually, or is specialist lifting equipment required? Weight may be one of the factors that determines how many technicians are required to work on a project. Knowing the history of an item is crucial in deciding how it should be moved. In many cases, artefacts could be on display in the same location for many years, so any movement could unsettle the piece and may cause lasting damage. In this situation the museum’s own archives can be an invaluable source of information for our Technical Manager. 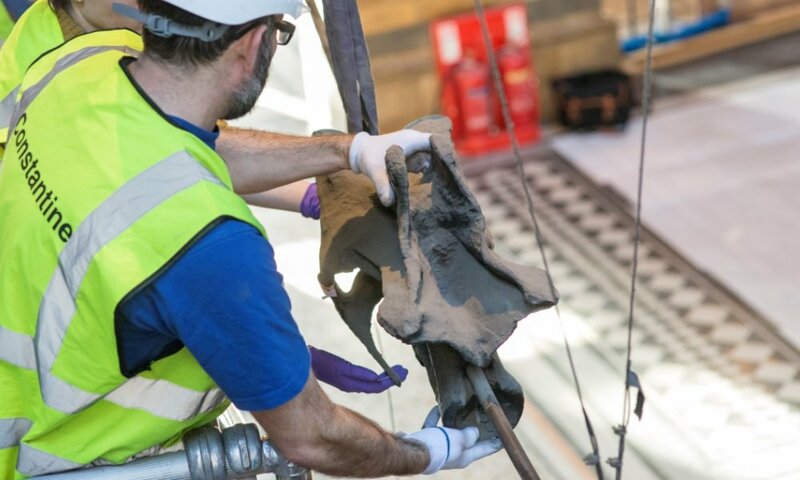 Before any work can begin, our Technical Manager will need to confirm where in the building the objects are situated and how accessible they are to our technicians. They must work out how each piece can be safely removed from its current position. Knowing what existing lighting is available in each room is incredibly important when deciding how any item or collection is moved. Often, additional conservation lighting is required to ensure the safe movement of the works. It may sound obvious, but a large part of our technician’s role is to assess where the objects are being moved to. The final location can affect our quotation, the timescale, number of art handlers and crate preparation. Are the works staying in the museum or are they being transported to another site locally or overseas? 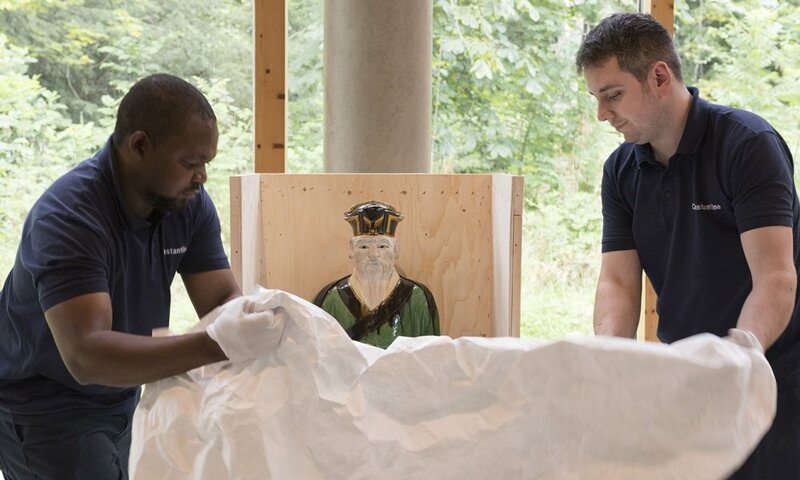 If they are remaining on site, the Technical Manager will need the museum to confirm whether short-term or long-term storage is required, as each option requires a different method of packing and conservation. Careful planning and precise handling is vital, with the safety of each work being paramount. Efficient planning to ensure work is completed by a specific deadline is of great importance to our team and the museum. Possible challenges that may occur during a project must be taken into consideration when assessing the timescale. Completing a project on time is also crucial to developing a strong and long-lasting relationship with museum registrars. Rooms holding a collection of paintings or objects will obviously vary greatly in size, so it is important to access the area before work can begin. This can have an impact on the overall timescale of the project and can greatly determine what equipment can be used. It is very important to have a clear work area and sufficient transporting space to enable work to be moved freely from other objects and displays. Once large objects are removed it is often surprising how much space is available. This is most noticeable when packing component sections of large-scale pieces. Any building with listed status means the protection of the fabric of the building is of specific concern. In most cases our team would usually proceed with guidance from Historic England. This can dramatically affect the way a collection is moved or re-installed. 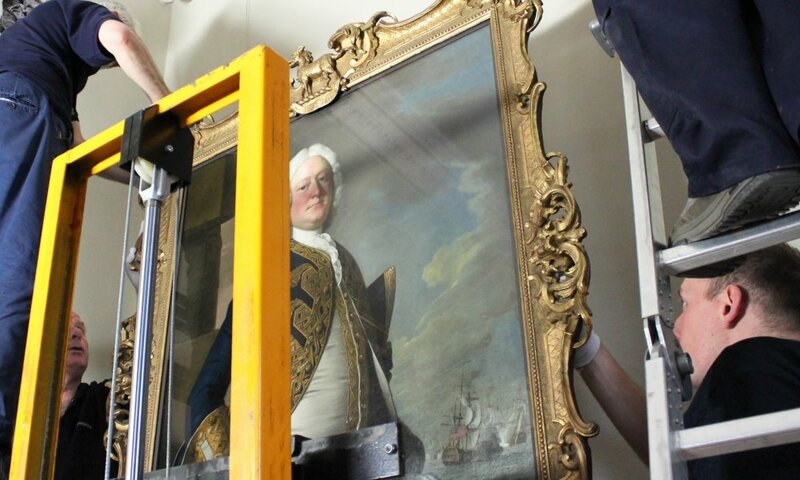 Our technicians must be prepared for any challenges that arise, especially when handling historic works. Every project is different and requirements can change at any moment. It is of great importance that our team are given comprehensive training so they are able to resolve any unexpected concerns promptly and cautiously. Any of these ten factors can be challenging for our team and the museum. This highlights the many logistical stages that must be considered when relocating collections, and the importance of detailed planning and research before a project begins.